I really want to hire a professional photographer to take outdoor pictures of my family this fall. In my dreams, I believe that a professional will actually get my kids to look at the camera and smile, something that they almost never do for me. I know that a professional will capture a great photo that I could never get. I also would like to be in the pictures instead of the person behind the camera. I don't know what it is about my husband, but it rarely occurs to him to take a picture when I hand him the camera or phone. My kids got their picture taken professionally many times in the past. Getting professional pictures taken with the whole family? Yeah that has happened once in almost 4 years. And I love their professional photos, but when I look back at our pictures, my favorites are ones that were taken spontaneously. Here are some of my all time favorite photos of my kids. My husband snapped this photo with his iPhone. My son was disciplined 1 minute before this photo was taken for walking into someone's backyard for the 5th time. Molly took his hand and told him that she would keep him brave and Mark instantly stopped crying. I can't believe we were able to capture this moment. Picture me whispering frantically to Brett to take a photo. 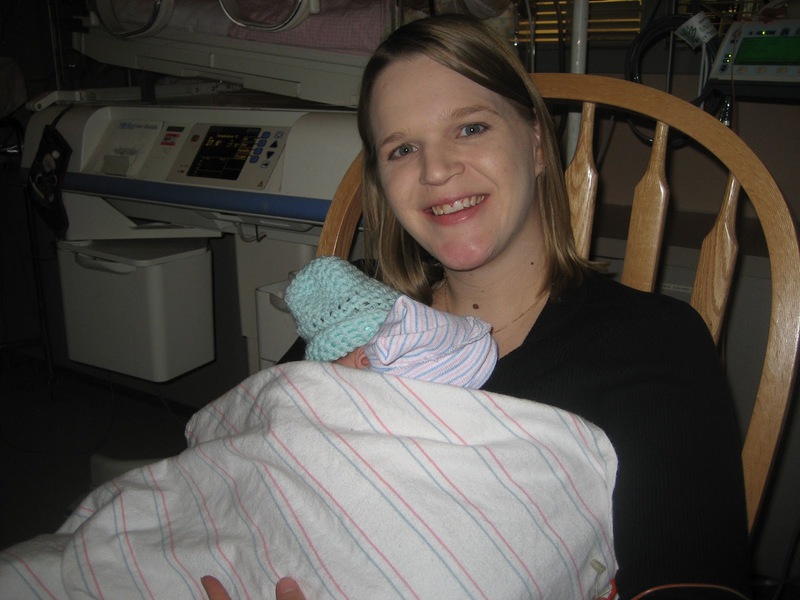 This was taken by a NICU nurse who insisted that I needed a picture of the first time I got to kangaroo my twins together. She was right and I'll never forget this moment. Molly was really struggling and her heartbeat was very erratic. Within minutes of being placed on my chest her heart rate settled down and she fell asleep. I smile every time I see this picture. It's just so cute seeing them hanging out in their diapers. Isabella wanted to do tummy time with her twins and for some reason this made everyone smile. I still can't believe I had three kids under the age of 2! The last picture makes me smile; this one makes me tear up. This is Isabella hugging her puppy goodbye before we took our sweet girl to the vet to be put to sleep. I miss her still, she was the best dog! I tried to get Mark to take a picture with me but he refused. I asked for a kiss instead and snapped this picture. I like this one better than the one I was trying to get. Another stubborn child strikes! 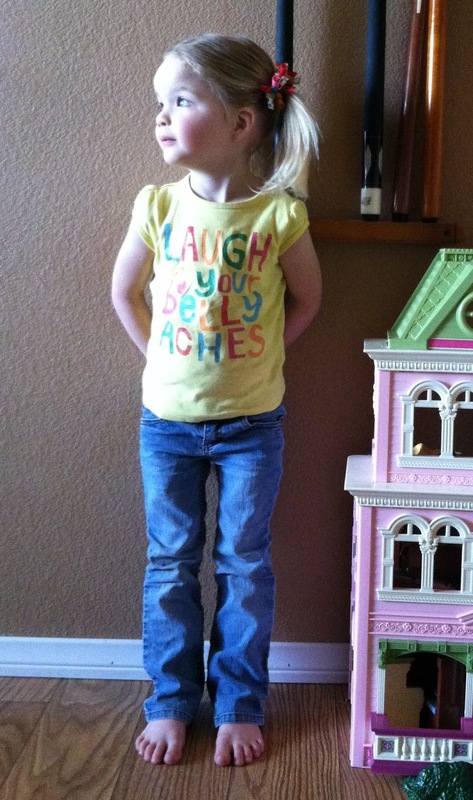 I wanted a picture of Molly playing with her dollhouse. Instead of playing, she stood up and looked out the window. This was my wallpaper for almost a year. It was replaced by the picture of my twins holding hands on the walking trail. So there are my favorite pictures of my kids and not one of them was taken by a professional. Most of them were taken on my iPhone, you have to love that technology! I know the real reason that they are my favorite is the story behind them. They're moments of our life that we happened to capture in a picture. But I still want to get professional photos taken this fall in the leaves. I'm going to see to it that we make it happen this year. What about you? Do you have some all time favorite pictures? Are they from your everyday life or did a professional take them? Love this post. Especially the photo of Molly and her doll house! I actually love when I give my iPhone to my son and ask him to take my photograph. I think those photos always turn out to be so awesome, because I then get to see how he views me. It's touching. As for professional photos, I have found that when I have high expectations (read: Christmas card shots) I am usually a little bummed. I've opted for Craig's List in an effort to not spend a lot of money on those photos. Good luck to you as you get these photos made. I can't wait to see how they turn out. I hope you love them. My kids get some great pictures too! Of course they also tend to take tons of pictures of the TV and the floor too. I never thought to look on Craigslist for a photographer, I'll check it out for fall. You have beautiful children. My fav post of my baby is of her smiling in her sleep. There are just some moments that are unforgettable. Love the one of your girl looking to the side in yellow. Thanks for sharing. What a great post. I love the story behind the first picture. My oldest always seems to do this for my youngest!!! What great memories. Great pictures! I like our professional pics of the kids (we've never had professional ones taken of the whole family), but i really love the spontaneous ones. Great pictures! I'm lucky that my husband is an amateur photographer and wants to go professional. I think professional photographs capture the real essence of that moment. I love camera phones they are always handy to take pictures so you get way better moments then a professional.. Shhhh the photographer did not say that..... I'll go hide now. I love these precious moments, especially the picture of you holding your newborn twins and the diaper one. So sweet! You will treasure these moments forever, especially when they are teenager and you look back and think how much simpler life was when they were little. Jk. My kids are not so little anymore (9, 11, 13, 15, 17 & 19) and people often ask me if the teen years are harder than when they were little. I tell them it's a different kind of hard. You can't really compare them. On a different note, I am a professional photographer and I do feel it's very important to get professional family pictures done every so often (we do ours every year). Those kids change so fast, especially when they are little and it's so important and nice to have a family picture with mom included. You don't have to break the bank to get good family pictures either. Look around in your area, research and find a photographer that doesn't charge an arm and a leg, they're out there, believe me. However, make sure they know what they are doing, after all, you want them to be able to get your kids to look at the camera and you want to be able to enlarge them and hang them on your wall for everyone to see. good luck! Phones are fantastic! You can capture those moments that actually mean something instead of a "smile now" "act happy" or "look here" moment. The ones that have the memories are the ones that end up meaning something in the long run... not the ones that you think look the best. You have fabulous photos full of meaning and they are adorable. If you really want a professional looking photo, just put them in nice clothes and take them to a field and let them play. You'll get those "professional" photos and the fancy clothes + memories all in one. These are fabulous! I can see why they are your favorite! I love the diaper one too! I too have been wanting professional photos of me and my hubby in the Fall. I am hardly on the other side of the camera, so it maybe too hard for me to do? I believe you can do it > get a photographer. There are some great blog photographers that would be willing to work with you and maybe do a trade off. There are also photography mom groups that you could join that could help you get better. Believe me... I am in that group. Love to take pictures, but want better quality! I am in the same boat, I am always the one behind the camera, but fortunately my kids love the camera and will look at me. I wish I had more pics of my family and I thought. We get professional pics done at Christmas every year that I am in though. I love taking pictures and photography too. We are actually getting professional family photos taken at the end of this month and, like you, it will be the first ones we've had taken in over 4 years. And my husband never thinks to take photos of me with the kids either! It must be a male thing. LOL. Great pictures. I have an iPhone as well and love having the ability to take pictures anywhere I go. It's so great to have those precious memories preserved. Your children are gorgeous! The picture with them holding hands does look a bit professional. (I thought it was.) I believe the best pictures are those that we take when the moment comes. Sometimes you can't plan the best picture perfect moments. What sweet pictures and story. I can't imagine life without pictures to help trigger a memory or two. Here's to many more for you and your lovely family. I did get professional pictures taken of my newborn, but it really were all the pictures that I took from my iPod camera (I don't have a smartphone) that I really like a whole lot better. They seem to capture the true moments so much better. Love your pictures! Love all your pictures. They are beautiful and tell such a story. Boy did and do you have your hands full. Adorable kids! I love that we have the technology to capture all the little moments on our phones. I love our professional photos but I agree that sometimes the ones that I cling to the most are the random snaps that I get with my phone spur of the moment! Great pictures! That first one is absolutely incredible and it looks professional; like it belongs in a magazine or something. I truly believe that the best posed pictures are done by professionals, but the pictures that best reflect our everyday lives are the ones you happen to catch by chance at the right moment. Those kind are my favorites. You have a beautiful family. Thank you for sharing those precious moments. I have some great professional pictures of my son that I love, but my favorites will always be the candid ones I take. I have one of him meeting his brother for the first time that makes me tear up. These are some great pictures! I think my fave is when you asked Mark to give you a kiss! Professional photos are nice but these are the ones that you will cherish! I agree that spontaneous pictures are the best. The one of the children holding hands is priceless. I so agree that my favorite pictures are the ones we captured as they happened. Professional photos are great for their purposes but give me those impromptu photos. Thanks for sharing your wonderful pictures. The one with Isabella and your dog represents a "life lesson" that, regrettably, we all must learn at some point. That could never be conveyed with a professional photo. One great thing about phones with cameras is that wonderful candid photos can be taken "in the moment." When my children were growing up, I could never manage to find the camera in time. Professional photos have their place, but snapshots seem to always end up being peoples favorites. I try to get professional pictures taken regularly but with each child added, it gets harder! I definitely have some that we took that I love just as much as the professionals. The picture of all your kids doing tummy time is just priceless! These pictures are really beautiful, despite not being taken by a photographer. They are great memories and still good quality. Like you said- thank you iPhone! My favorite pictures are of my husband and I traveling together (we don't have kids yet). I also love the stories behind them and that we have been able to see so much before we started a family! I love the challenge of taking my own photos of my family. I'm no photographer, but I like how I can capture the moment in time through my eyes. I know my kids, I want to remember certian things about them. Yes, I have to admit that I have some really good pics that were just accident shots. That's the fun it it. I do think that pro photos are needed somewhat, but when you are on a budget, if you can do it, then go for it! I am an amatuer photographer so I am usually always the person behind the camera. I would like to have a professional take some photos of my family and I though. It's just a matter of saving up the money. Some people around here charge $200 for a session. I only have one professional photo of my three kids together and that was taken several years ago. You have a beautiful family. I like the picture of you and your son sharing a kiss. They are so cute, especially the one of Isabella and the twins in diapers.